Daniel Gavins, pictured, fired a six-under-par 66 in the third round of European Tour Qualifying School Final Stage today to move two ahead of the rest of the field at the halfway point of the 108-hole competition. Englishman Gavins, who successfully navigated his way through all three stages of Q-School in 2015, was happy with his three days’ work but admits he can’t get complacent with 54 holes left of an event where the top 25 and ties earn European Tour cards at the end of the week. “I’m very pleased,” said the 27 year old, who competed on the Hills Course today. “It was a tough day, so it was just a case of staying patient and attack when I need to. “I’m playing pretty consistently at the minute, have holed some putts and I have just got to keep going and scoring well. “The two eagles were the highlight from today – especially when I holed a bunker shot on the 11th. “It’s been pretty good so far. I’ve played on the EuroPro Tour this year and have been pretty consistent on there but didn’t hole a great deal of putts so it was nice to come and hole a few so far this week. Two shots back from Gavins are a group of three players including Spain’s David Borda, Germany’s Christian Braeunig and France’s Clément Sordet. Of that trio it was Sordet who made the biggest move in Tarragona after a sublime nine-under-par score of 63 at the Hills Course – the lowest round on that course so far in this year’s Final Stage. “I played really well,” said Sordet, who graduated to the European Tour via the Challenge Tour in 2017. “I started with two lip-outs and then managed to make a lot of birdies and holed a wedge shot on the sixth and was six under through eight. Then on the back nine I missed a short putt for par on 12, but managed to stay focused and then finished really well. 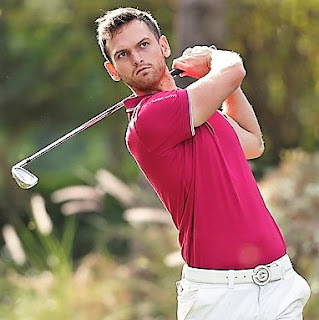 Also impressing on Day Three in southern Spain was former Amateur Champion Scott Gregory and European Tour winners Marcel Siem and Alejandro Cañizares. England’s Gregory equalled the low round of the week with a stunning nine under par 62 on the Lakes Course, while Germany’s Siem and Spain’s Cañizares – who have both triumphed multiple times on Europe’s top tier – both recorded eight under par scores to move into the top ten. Following the conclusion of Tuesday's fourth round the 156-player field will be reduced to the top 70 and ties, who will then battle it out for a place in the top 25 which will see them earn a European Tour card. 199 C Sordet (Fra) 70 66 63, C Braeunig (Ger) 67 65 67, D Borda (Spn) 65 62 72. +Top 70 and ties to advance after Tuesday's fourth round.